I see babies and children of all ages, from a few days old to teenagers. 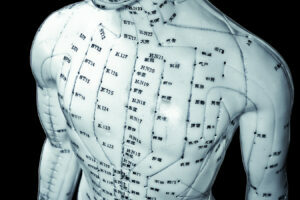 Treatment is based on age-old Chinese medicine principals, where an individual treatment plan is created. Acupuncture, moxibustion, lifestyle and dietary advice, where appropriate, is given to support the healing process of your child. 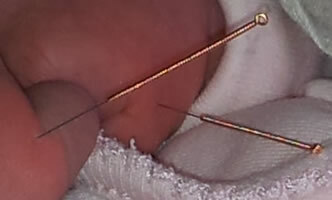 In most cases the acupuncture is completely pain-free. The needles are very fine and with specially polished tips that slide between the cells of the skin. Occasionally there is some discomfort. It has been likened to cleaning your childs face with a flannel. 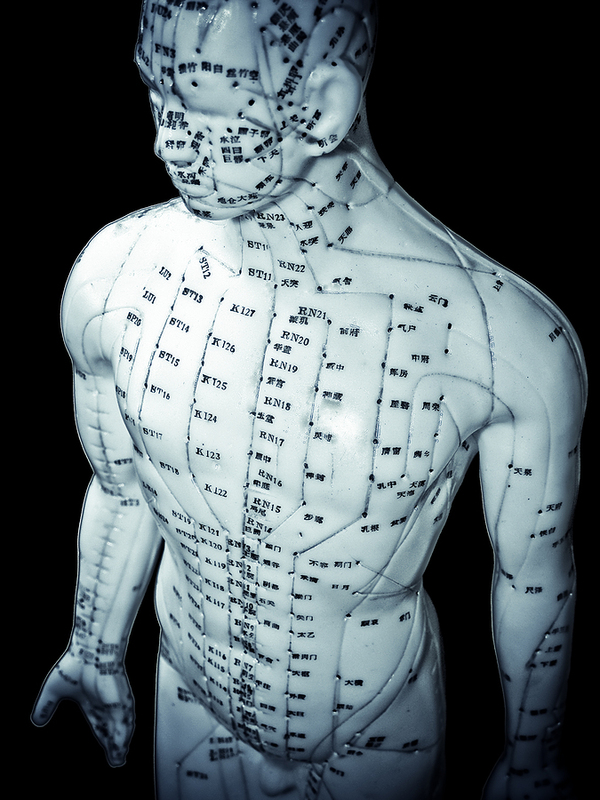 In any case, the treatment with acupuncture needles usually lasts from a few seconds to one minute. We stay well away from the hypodermic needles used for vaccinations and blood tests. These are, in comparison, thick and hollow circular blades designed to cut into the skin and veins. Ouch! This photo shows the hands of a beautiful 3 week old baby girl who is peacefully resting in her mothers arms, whilst feeding. She didn't seem to notice the fine needles at all. great abundance, while in old age it declines. can be inﬂuenced at points along these channels.